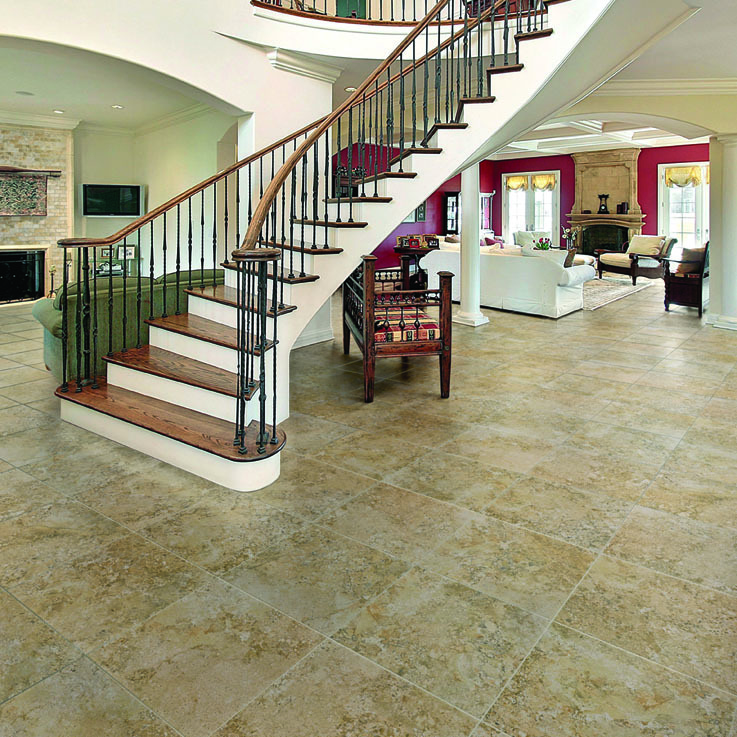 Popular throughout the ages, natural stone floors are one of civilization's oldest flooring materials. 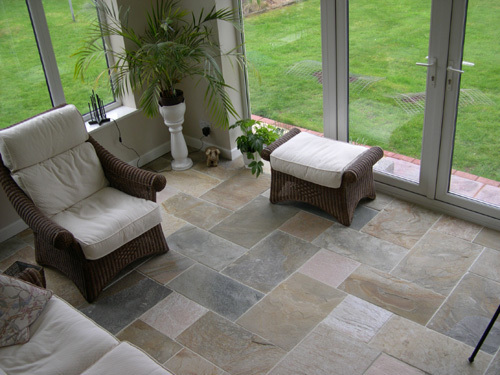 Stone flooring has stood the test of time because of its durability, versatility and beauty. 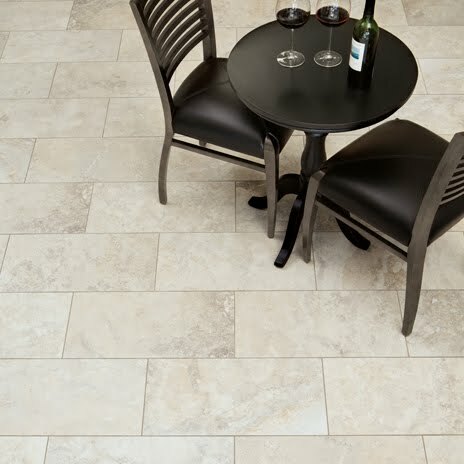 Whether it's a sleek and polished look, or a rustic and textured appearance, natural stone flooring provides beautiful design and long lasting quality. With all the benefits that stone flooring provides, it's easy to see why this natural floor is available in a number of styles to compliment any home. When luxury is a consideration, natural stone flooring is a popular choice due to its strong presence and timeless elegance. Stone floors can add a beautiful design element to smaller, more formal areas such as foyers and hallways. Granite - Granite is extremely durable, heat and stain resistant. Ideal for kitchen floors and countertops, granite is available in a variety of colors that will compliment your kitchen. Marble - Marble is not quite as tough as granite and some types may not be recommended for bathrooms, but is a good choice for formal areas such as hallways and foyers. Slate - Slate is a highly textured stone that provides a natural and informal appearance. 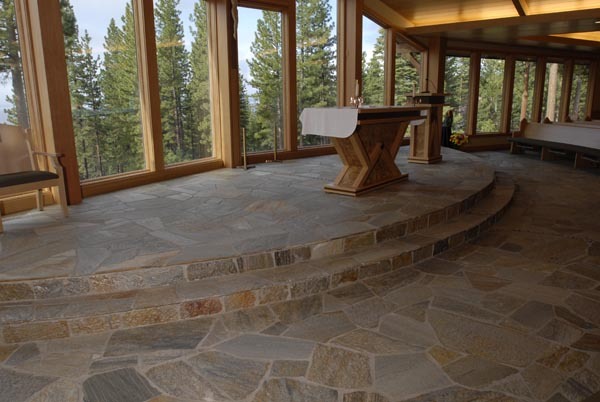 The stone is very dense and also moisture resistant, so it can be used outside as well as inside the home. Slate comes in a wide variety of colors. 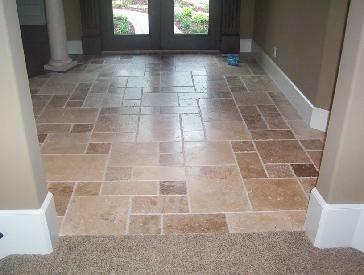 Limestone & Travertine - Both are porous and absorb stains easily, so avoid use in kitchens and bath areas. 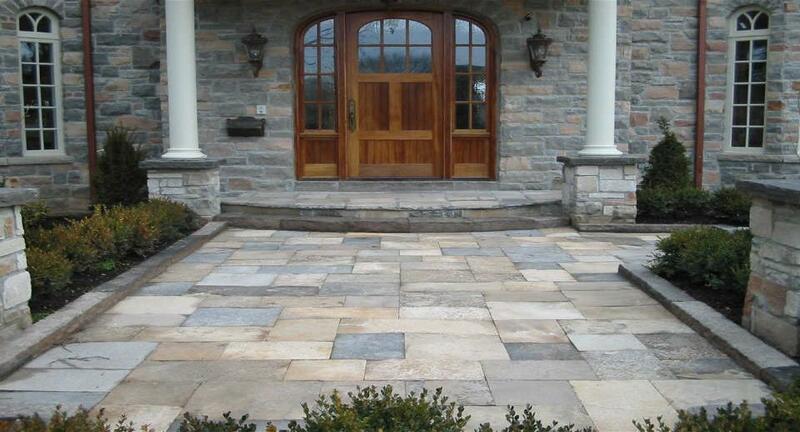 All natural stone is completed with a particular type of surface finish. Different finishes create different looks and level of glossiness and sheen. Polished surfaces create a lustrous and glossy shine by buffing the stone's crystals. When you want a mirror-like shine, a polished finish is the choice for you. Honed surfaces have a matte appearance. Marble and limestone are good choices for a honed finish. 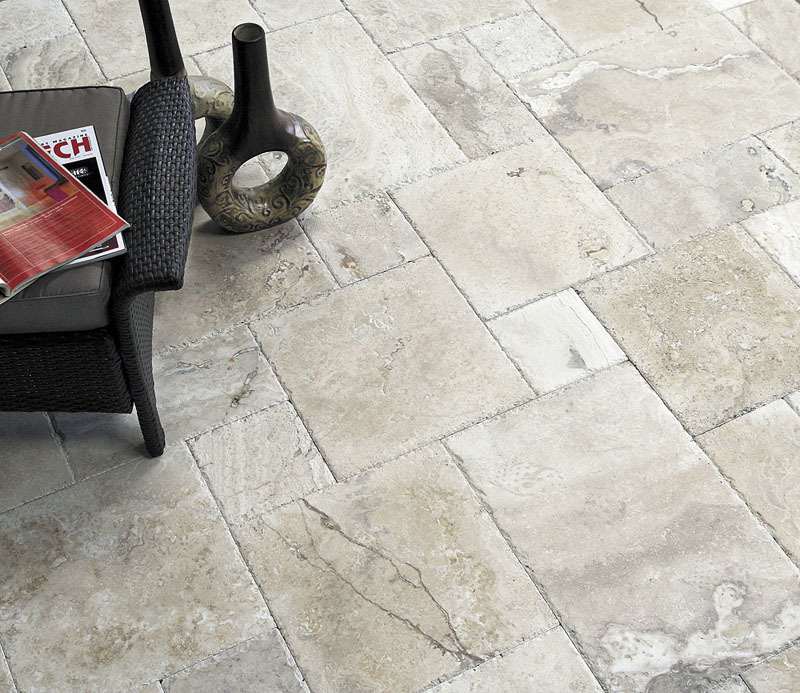 Acid washed finishes result in a rustic, etched appearance that is a good choice for travertine and limestone. Split-faced results in a rough texture. This finish is typically achieved by hand cutting and chiseling at the quarry, exposing the natural cleft of the stone. This finish is primarily used for slate. 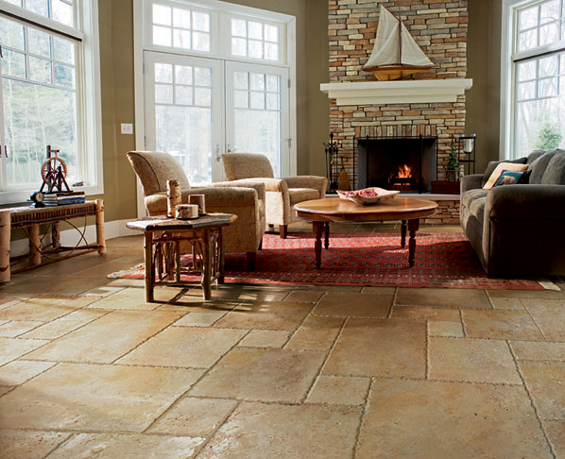 Stone floors don't have to be boring or one-dimensional. Stone flooring is available in many sizes and a variety of unique looks from patterns to mosaics are possible. Consult with one of our experts to help create a unique look for your home.